What do you think of when I mention a lint roller? You probably picture your compulsive grandmother one-overing her forty year old sweater before she leaves the house, making sure unwanted lint isn't part of her outfit. Or maybe you picture a stuck up clothing designer commanding her interns to meticulously swipe all of the Fall 2013 garments to ensure that NOT A SINGLE PARTICLE OF DUST has stuck to next season's precious wool gabardine. 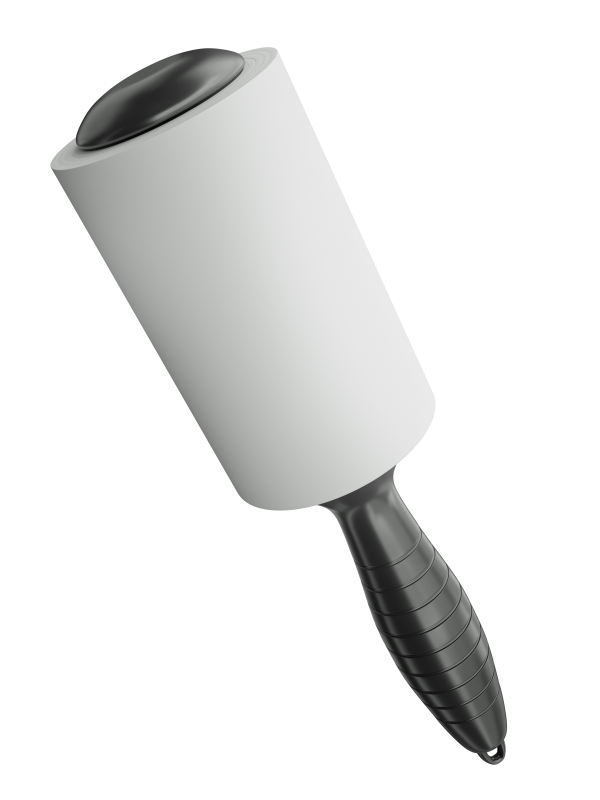 - Lint rollers are great for cleaning couches or fabric chairs. Instead of awkwardly trying to get your vacuum to do the job, whip out a lint roller and give your couch a good rub down. It'll pick up all the loose hairs, dust, and crumbs (I saw you eating that popcorn last night. You're not as slick as you think you are). - If you're a pet owner, you'll probably go through a lint roller every week. Animals shed endlessly and the best way to scoop up their hair is with a lint roller. Don't be afraid to roll over hard surfaces as well - counter tops, tables or bookshelves. - Do you eat in your car? Of course you do! You're human. Do you feel like vacuuming your car every time you make crumbs? Probably not. (I would) Here's another good use for the lint roller - your car floor! You can even con your kids (if you have. If not, there's always the local young sucker.) into thinking this is a game and have them on post-trip lint rolling duty. Now that we changed your view on the lint roller, we gotta think of a good use for all those lint-filled sheets. I'm thinking textured wall paper...or maybe a quilt. I'll let this brew a bit and come back to you on that.